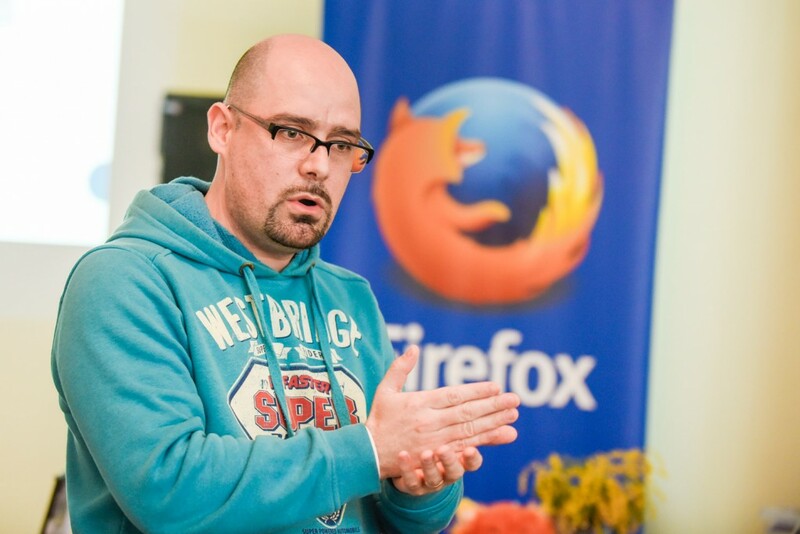 What I really like at Mozilla is how diverse the community and the contribution paths are. Considering I’m not a programmer, and still feel comfortable in the community is something you cannot find in that many open source projects. Having this in mind, I constantly try on new things in the community. So, last year, I had the honor to be invited to the Mozilla Tech Speakers pilot program aimed at Mozillian volunteers who evangelize about everything Mozilla and the open web.As the program was tailored for technical evangelists, I hesitated in the beginning if I’d be the right choice, however I’m happy that I pursued that path afterwards. You can find more about the program on the Mozilla Wiki. 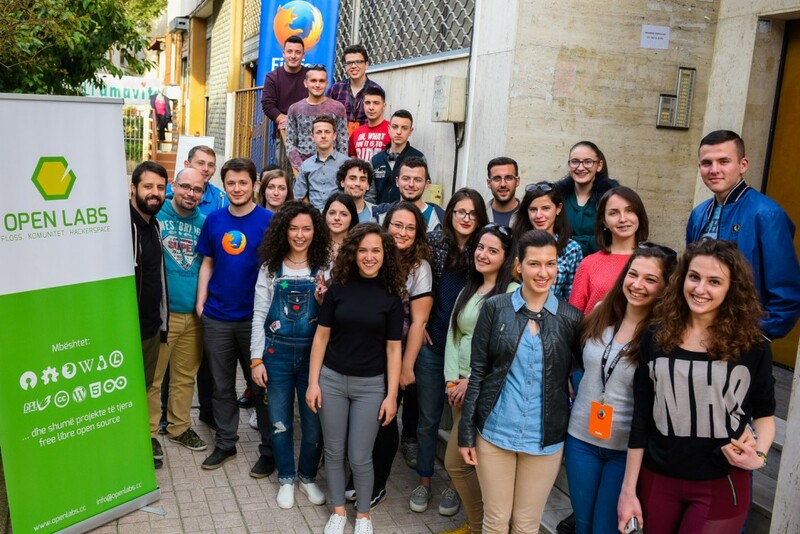 As part of these efforts, we at Open Labs Hackerspace, specifically the Mozilla Albania team, decided to organize the first Tech Speakers Training in Tirana. The idea was to gather great speakers from the community, let them mentor the attendees, break the ice and gather lessons from the presentation in the final pitch. It was a really fun exercise which we also did at the Mozilla Leadership Summit in Singapore. 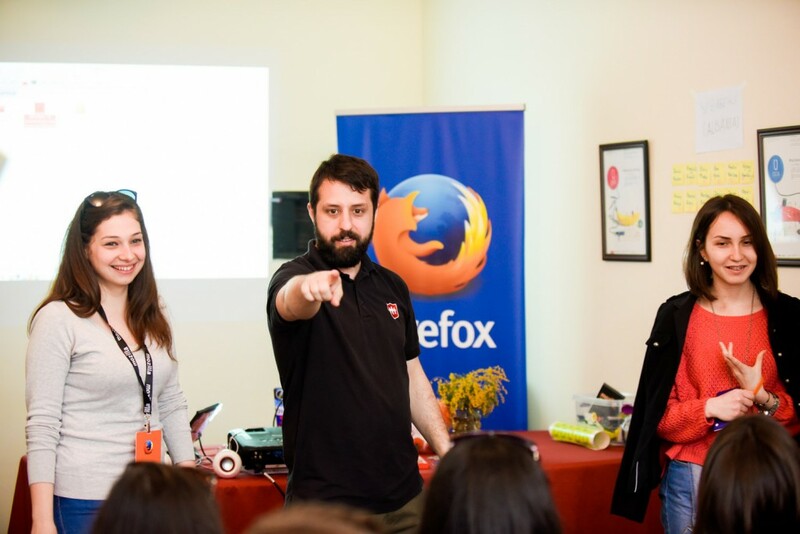 Kristi Progri briefly introduced the many ways how to get involved at Mozilla, followed by Elvis Plaku who started the workshop off by giving a great presentation on how to pitch a presentation, which got the ball rolling! So this is how it went: We asked attendees on one of their experiences when they started a movement or project in which they were treated as leaders. This could be something like starting a local study group for final exams even. Afterwards, attendees splitted into random 5 groups of 5. One of our own speakers (including me) would mentor each group, and every group member would present their “leader” experience in their own group within 90 seconds. Feedback (positive and improving) would follow later on so everyone would know what to improve next time. Ardian Haxha followed with a hands on talk about Virtual Reality and specifically MozVR, to give a great example on how to present a technical topic. We had some great laughs throughout the sessions (VR always starts some great conversations!). The Albanian Minister of Innovation, Milena Harito, also visited us during the event, praising the need for good speakers in tech and the importance of open source. It was indeed an intensive 3 hours session! 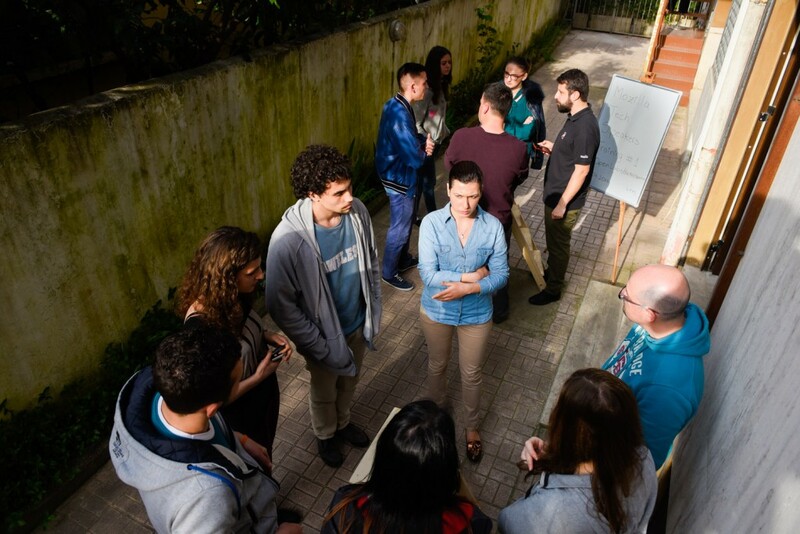 At the end, every group would choose a member to speak in front of all others about one of their experiences when they joined a movement or initiative (exactly the opposite of the first session!). The mood was already relaxed, yet focused on delivering a good presentation, which was great to watch. Also, all representative speakers of their groups were girls, (most of the attendees were female as well). Yep, I’m happy that the diversity in our community is really healthy. 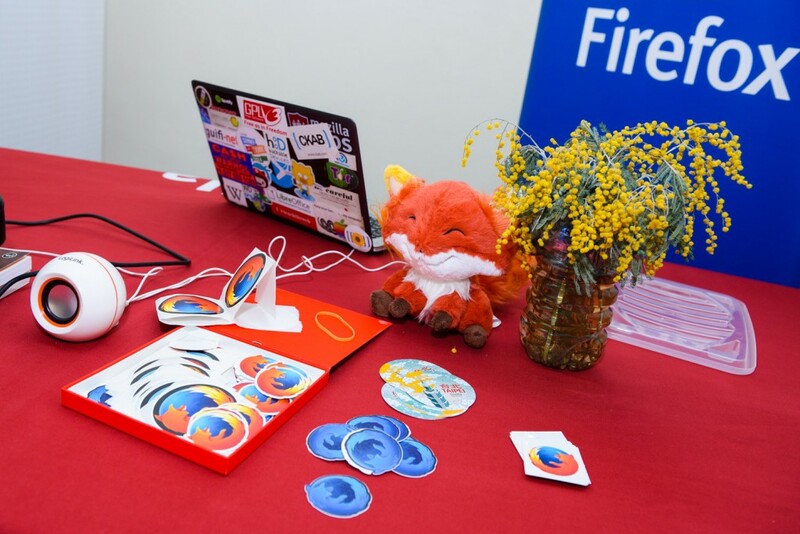 The event was a total success, with many new attendees learning about Mozilla and the local community here. It’s refreshing to see new blood in our community and I’m looking forward already to follow up with new contributors in the following weeks. Huge thanks to Andis Rado who was our photographer at the event. 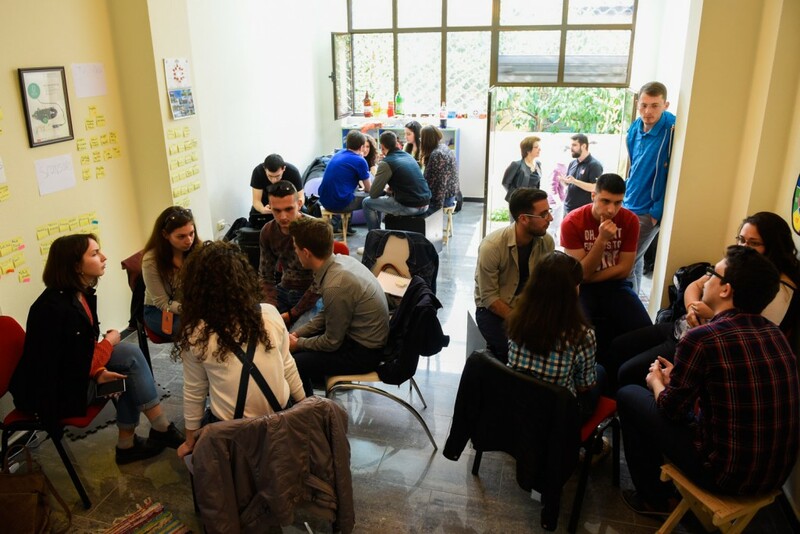 In the following are some selected photos from the event, you can find more in our blog post at Open Labs (in Albanian though).